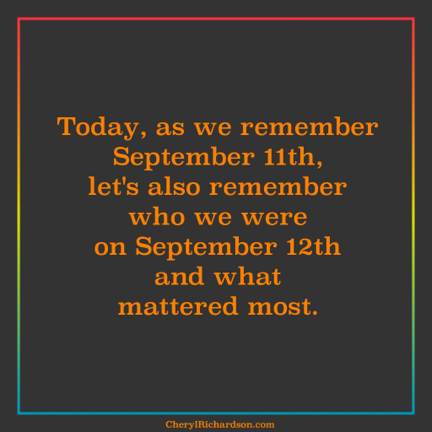 Who were you on September 12th and what mattered most to you that day? Are you honoring those priorities in your life now? If not, what might you do this week to get back on track? I love videos like this – simple ways to raise people’s spirits. God bless this young man and his friends. Check it out here. Thanks, Robin !